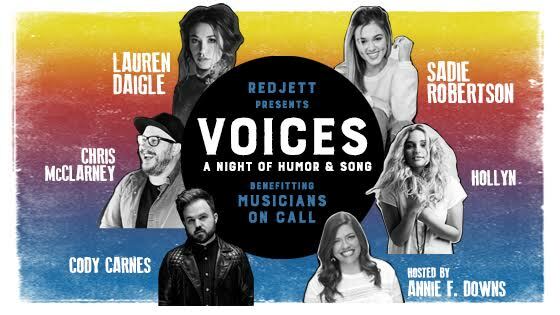 Redjett’s family of artists will host a special evening of songs and stories to benefit Musicians On Call. Lauren Daigle, Sadie Robertson, Chris McClarney, Cody Carnes and Hollyn will give their time and talent to showcase the healing power of music. The night will include unique collaborations, individual performances, and plenty of laughs to create a one-of-a-kind night for friends and fans.